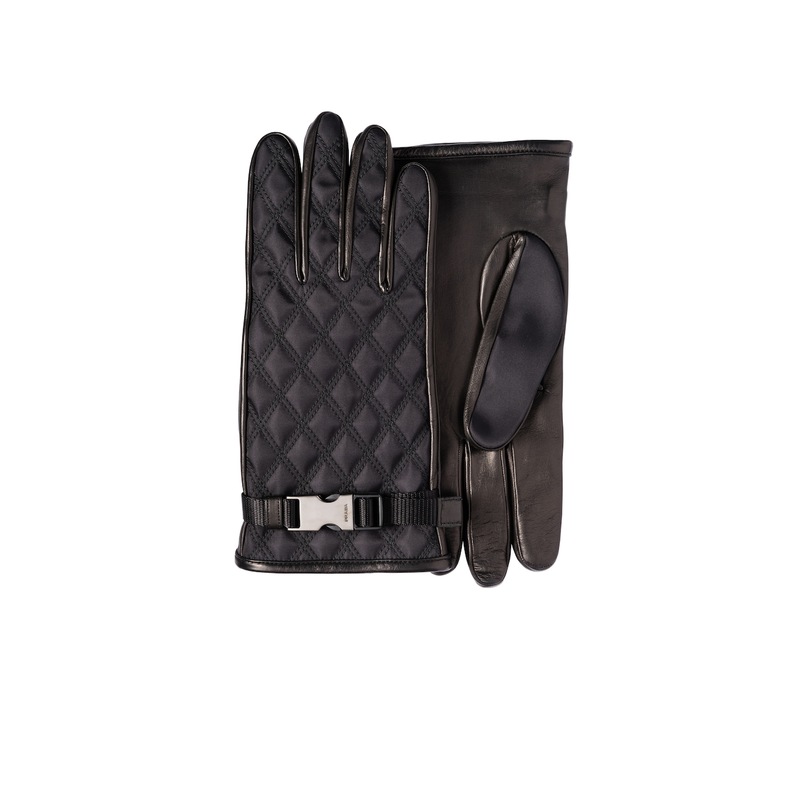 Quilted nylon gloves with diagonal double top-stitching on the top and leather on the bottom. At the wrist is an adjustable buckle closure engraved with the Prada logo. 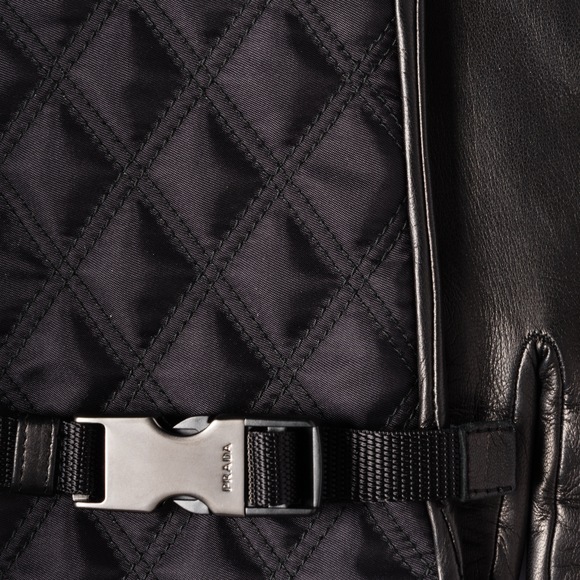 The inside is lined with cashmere.